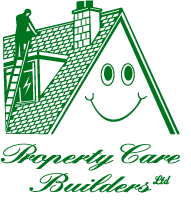 For over 25 years Property Care Builders Limited have been providing building services in West Cornwall. Our company provides a one stop shop for all your building requirements, from the smallest of works to large site developments. With our dedicated team of professionals, that have on average been working together for over ten years, no job is too large for us to look after. We will project manage your job at no extra cost. We deliver building projects on time and to your needs and requirements. All quotations or estimates will be made transparent so you can see what you are being charged for before you start your project. We are very proud of our reputation in the South West and we pride ourselves on giving you the very best for your money. Our dedicated team of long serving tradesman will always help us deliver the finest results in their given trades. This along with our award winning kitchen and bedroom bespoke kitchen company Croft Kitchens and Bedrooms there really is no need to look any further for all your new build or renovation requirements.